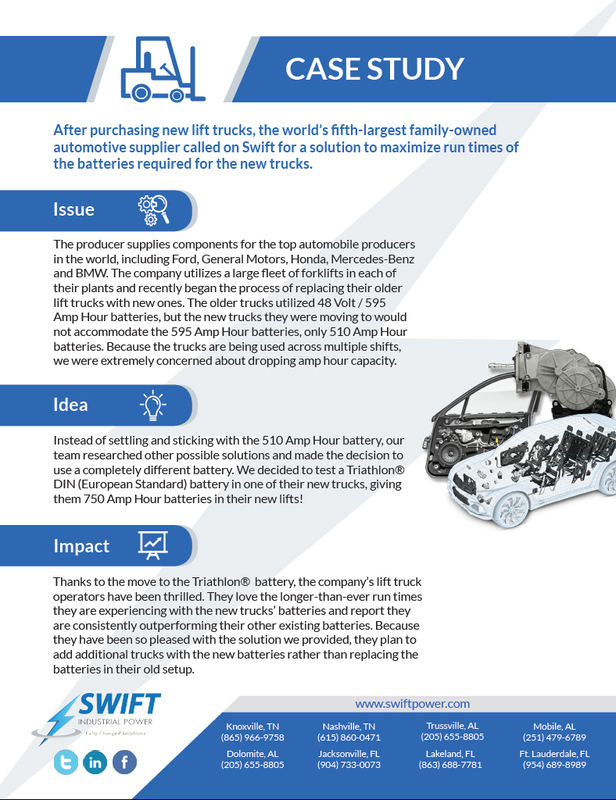 After purchasing new lift trucks, the world’s fifth-largest family-owned automotive supplier called on Swift for a solution to maximize run times of the batteries required for the new trucks. Need Help? We sell and service thousands of products. Swift Industrial Power is the company you can count on for the products, systems and service to power your business. Our strategically located facilities are fully stocked, staffed and equipped to handle your needs, wherever and whenever needed. Sign up below to receive our newsletter and stay in-the-know about Swift!